Recharging takes six minutes at each end of the route. 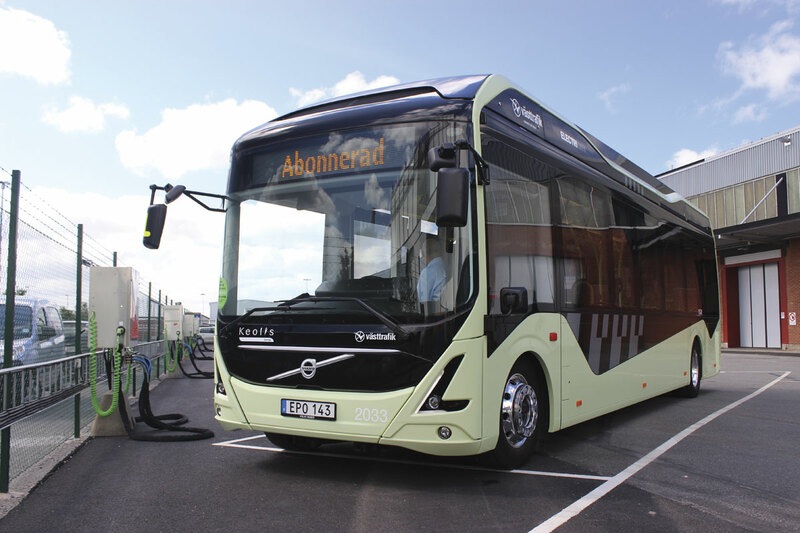 Volvo is completely convinced that Electromobility is the future for bus operation and has been keeping members of the press fully informed of developments with the latest stage of its moves in this direction. 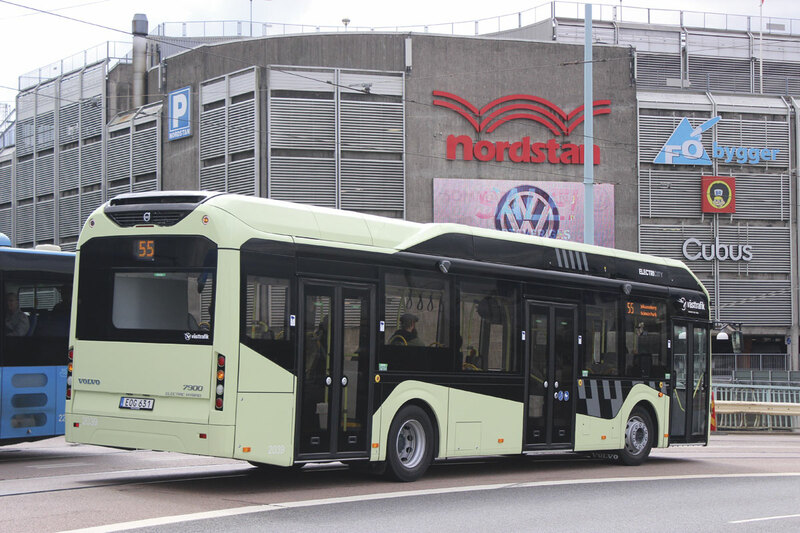 Last week these took a major step forward with the entry into service of three fully electric buses alongside seven plug-in electric hybrid buses on the new route 55 in Gothenburg. Their launch coincided with the culmination of the Volvo Ocean Race, the world’s toughest yacht race, which Volvo, in all of its forms, sponsors. 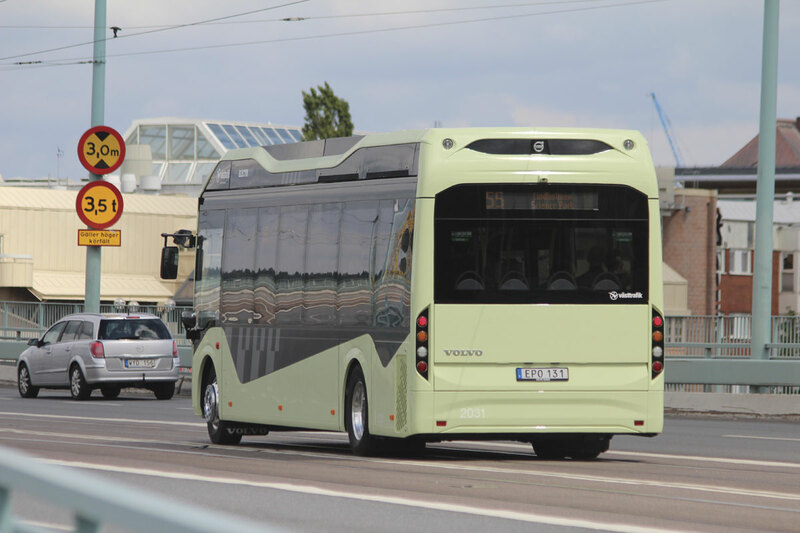 Painted in a light green livery that contrasts with the blue that all other Gothenburg service buses carry, the vehicles are being operated under a tender by Keolis Sweden, though Volvo is paying for one third of the running costs. 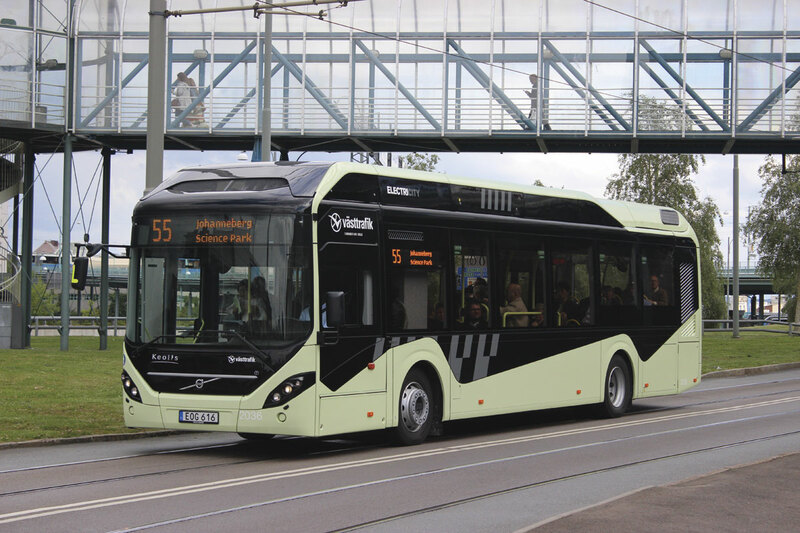 Specially created, the route chosen links the two university sites at Lindholmen and Chalmers via the city centre and the main bridge over the Gota river, and is both part of the Vasttrafik network accessible to members of the public and at the same time a route that Volvo and the universities will use to study electromobility for buses as part of the ElectricCity joint project. Scheduled to run for three years, the ElectriCity project is founded on the concepts of cooperation and collaboration between research, society and industry. It looks to develop, demonstrate and evaluate sustainable public transport solutions for the future and currently involves 14 partners: Volvo Group, Region Västra Götaland, Västtrafik, the City of Gothenburg, Chalmers University of Technology, the Swedish Energy Agency, Johanneberg Science Park, Lindholmen Science Park, Business Region Göteborg, Göteborg Energi, Älvstranden Utveckling, Keolis, Akademiska Hus and Chalmersfastigheter. 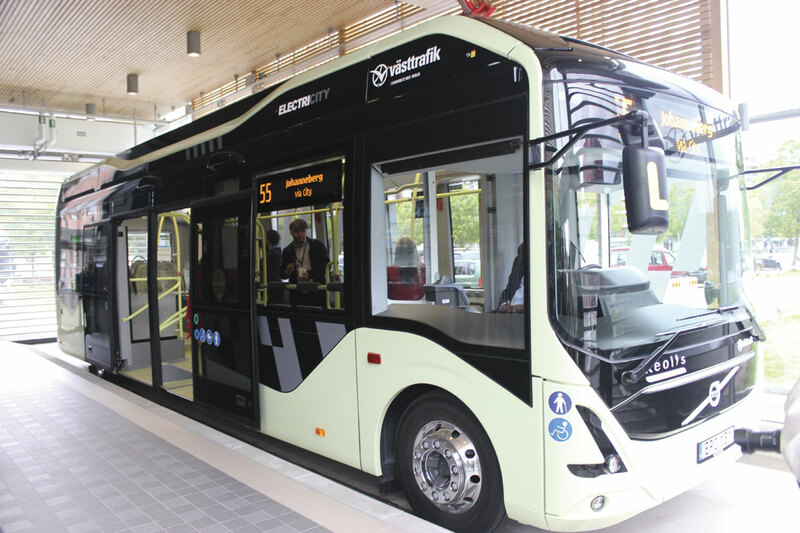 Although, as its name suggests, a key element of the project is the use of electrically powered buses, it also creates an arena for the demonstration of other new concepts, in which their strengths and weaknesses can be investigated. 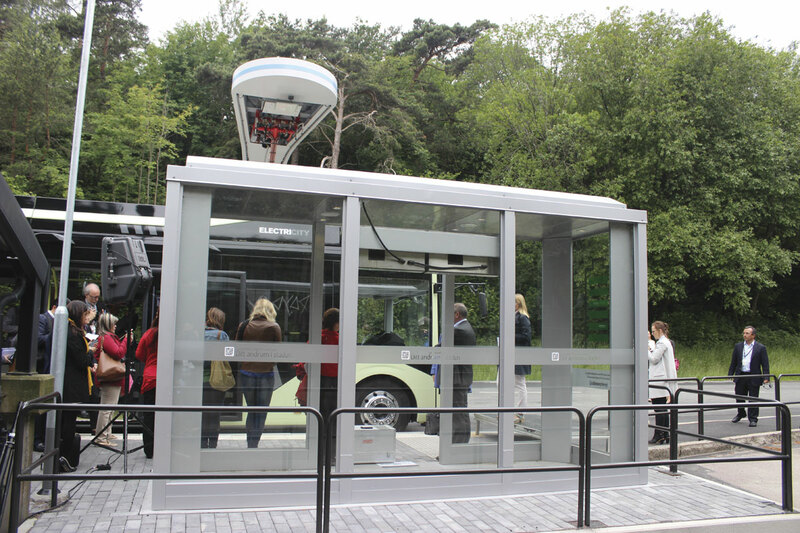 Thus there are a number of new ideas incorporated within the buses, such as the extra wide double centre doors and central driving position, as well as off bus innovations, particularly relating to bus stop provision and communications that have been incorporated within the 55. Other areas being addressed include traffic management systems, safety concepts and energy supply systems. A point made previously at the most senior levels of Volvo and reiterated by Niklas Gustafsson, Volvo Group’s Chief Sustainability Officer, is that; ‘The Volvo Group aims to be the world leader in sustainable transport solutions.’ He said that Volvo’s view of the total cost of ownership (TCO) went beyond the traditional one of adding leasing, driver, fuel and garaging costs to include socioeconomic (noise), environmental (emissions) and tax incentives (subsidies). 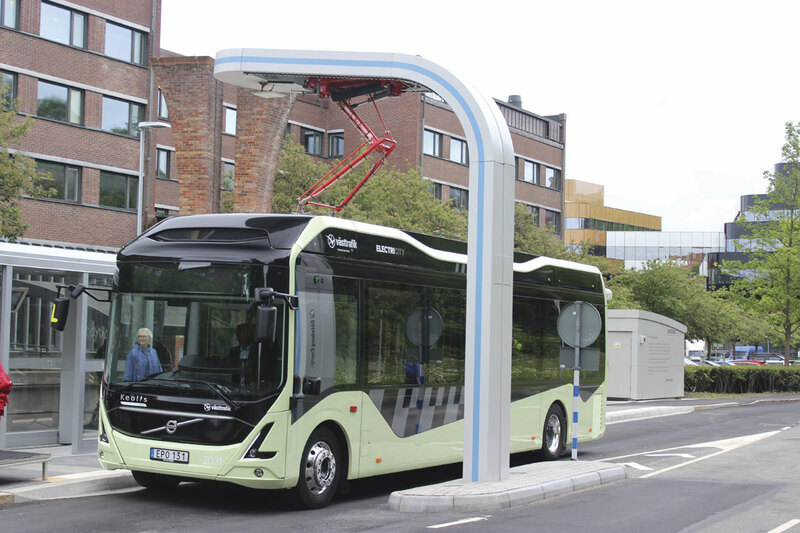 He claimed that doing so, showed that Volvo’s electric buses saved €27,000 (£19,250) annually. 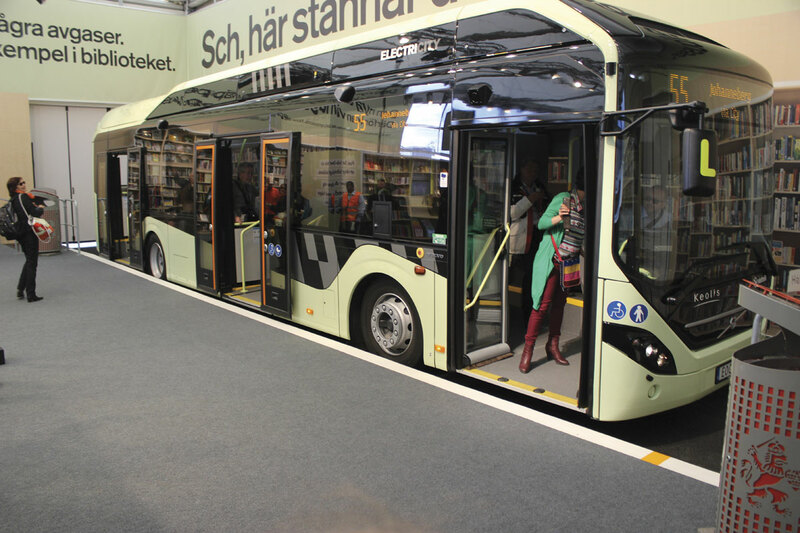 Though it will continue to supply diesel powered low entry bus chassis and, importantly, diesel powered double deck bus chassis, Volvo has stopped supplying full low floor single deckers and will now only supply these with hybrid or hybrid electric propulsion, with full electric set to become commercially available from 2017. 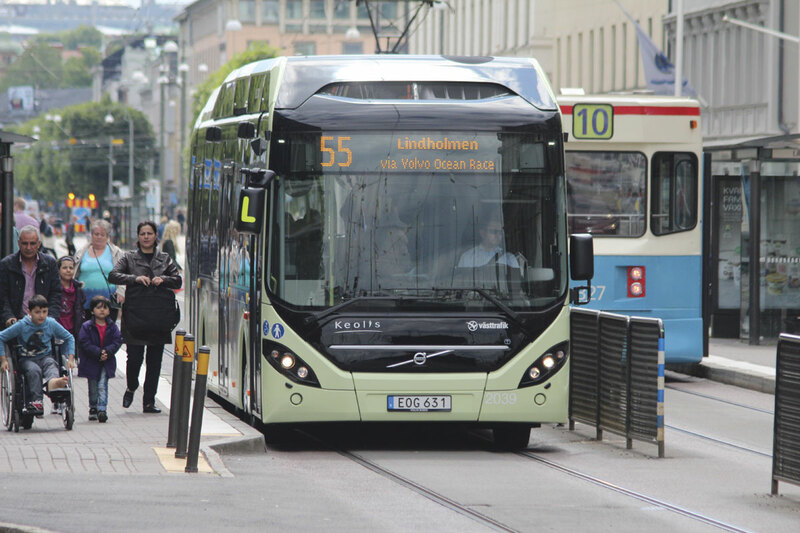 For the future, Volvo believes that these three options will best meet operators’ needs, with full electrics employed in inner city services, hybrid electrics on city centre-suburban work and diesel hybrids on longer distance routes. It believes coach services will remain diesel operated for the foreseeable future, albeit using biodiesel fuel. In the UK, we already know about Volvo’s diesel hybrid buses, we’ve bought more of them than any other nation, though the second place player in this sales game may surprise you, it is Columbia in South America. The UK is also set to be in the vanguard of those introducing the electric hybrid, or plug in electric, technology option with 25 on order for Lothian Buses to follow the diesel hybrids it already operates. 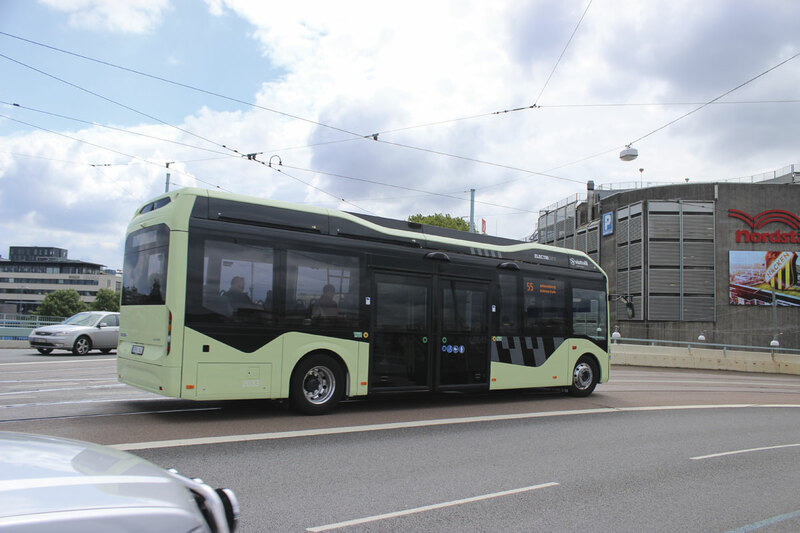 Similar electric hybrid buses, are already in service in Hamburg and Stockholm and have now gone into service in Gothenburg. They take the diesel hybrid concept on to the next stage by introducing an electric opportunity charging capability along with larger batteries to store the charge downloaded and use it on the way to the next recharge. True electromobility requires the deletion of the diesel unit altogether. There are two key concepts for fully electric buses. One is to have large batteries and charge them overnight. The drawbacks with this are that the amount of power required is a considerable draw on the local electrical infrastructure and the daily range is limited by the capacity of the battery. The greater the range required, the more heavy batteries will need to be carried. 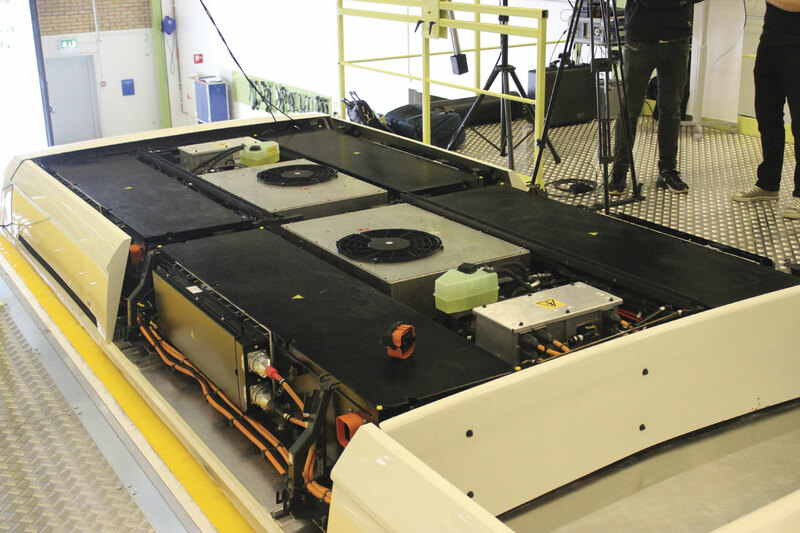 The high capacity battery packs also need considerable investment in charging infrastructure and a local electricity supply system that can cope with the very considerable power requirement during charging. 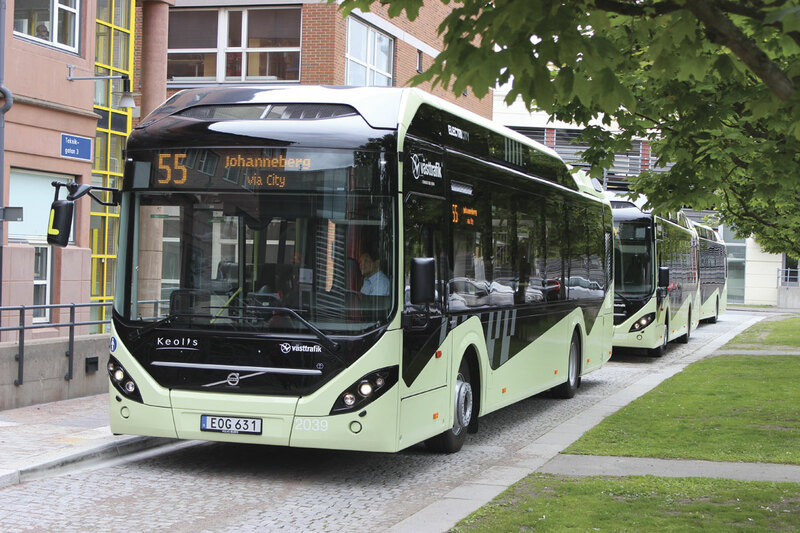 The alternative argument, and the one that Volvo is using, is that by employing opportunity charging, the buses can be recharged at the end of every run in a six minute procedure that gives them sufficient electric energy to carry out the next service run and keep the batteries in optimal condition. 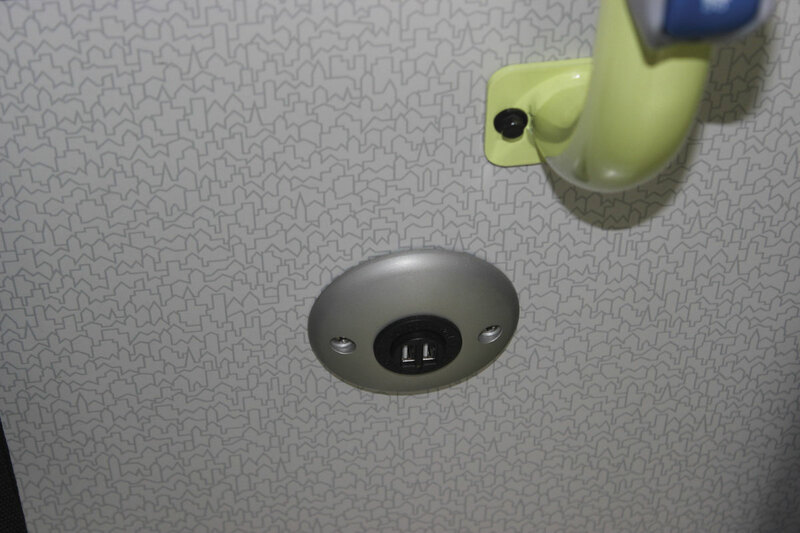 In fact, if for any reason the charging station is not available at the end of a run, it is possible for the bus to continue without recharging and complete the return leg, though it would then have to recharge. 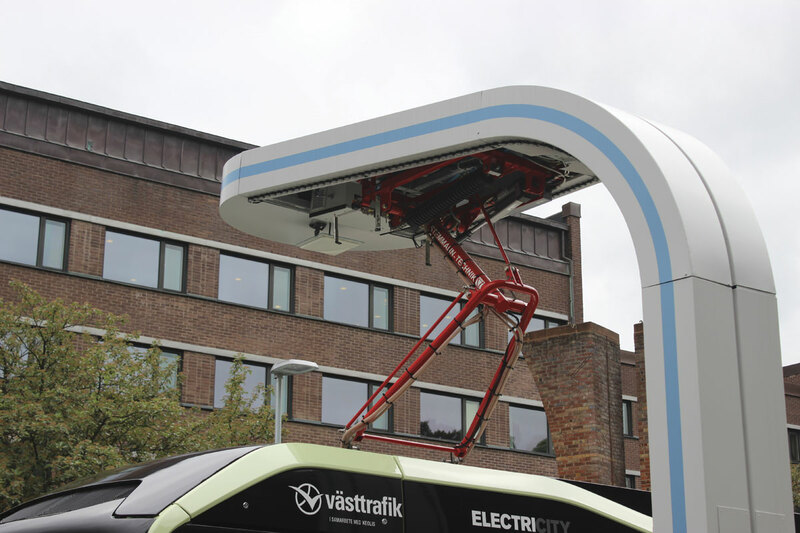 Buses charged in this way do still need to be plugged in at night, in order to balance the individual cells, but the power requirement is massively less and utilisation of the infrastructure is far greater. Volvo has said that all electricity used for the ElectriCity project will be from the renewable sources of wind power and hydro power on a set-off basis. Not all nations have the access to this power in the way that Sweden does and in such countries the debate continues about how clean electricity is when it is produced at fossil fuelled or nuclear power stations. 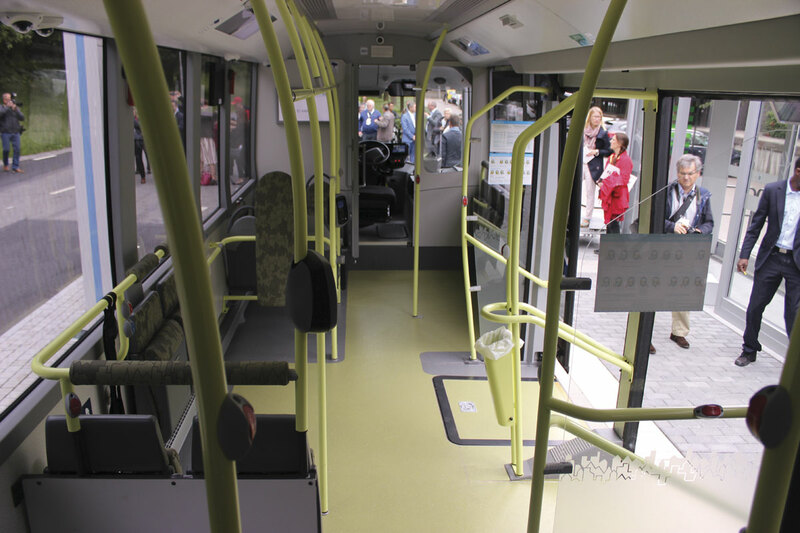 As explained in previous articles, the full electric buses are 10.72m long with a set forward front axle and a centrally positioned driver’s seat that enables the low floor area to be extended. There are two separate double-width central doors through which all passengers enter and leave. The wheelbase is seven metres, the front overhang only 1.212m and the rear overhang is 2.508m, while the height is 3.298m and the width the standard 2.55m. Maximum GVW is 18 tonnes with 7,100kg and 11,500kg front/rear axle weight limits. 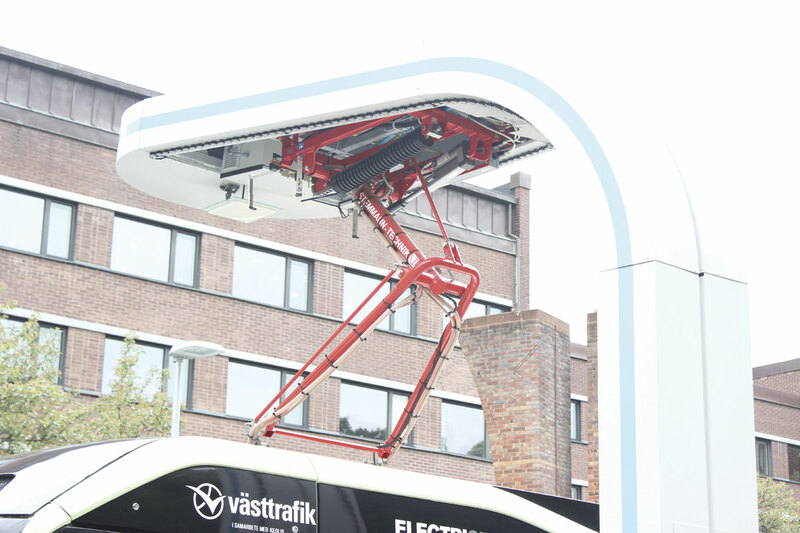 The specification of these aluminium framed electric buses includes four water cooled lithium-ion 600V batteries, each with a 19kWh capacity, mounted on the rear of the roof. These are the same as the single unit used on the electric hybrid. Each weighs 352kg. The 155kW electrical motor produces torque of 400Nm and the transmission is a Volvo two-speed automated manual. Volvo supply the RFS-L front axle and the ZF AV132 rear axle. Electrically driven hydraulic power steering, the EBS 5 Electronic Braking System, ABS, ASR, Brake blending, Hill start aid, Brake temperature warning, Poor brake performance warning, Door brake, Brake assistant, Lining wear sensing and analysis, Automatic calibration after brake pad change and Volvo disc brakes are among the other features. 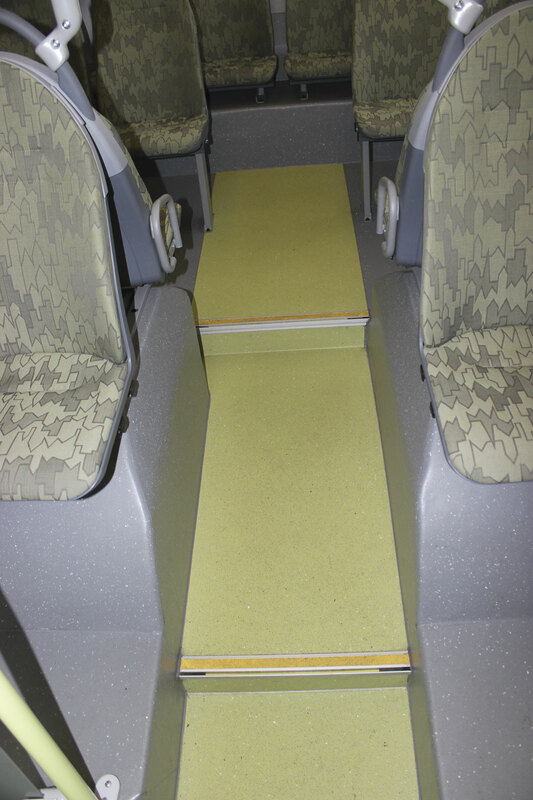 On route 55, buses of both types are equipped with seamless wi-fi systems as well as phone and tablet charging points. I had some reservations about the early Euro5 examples of Volvo’s diesel hybrids, which had vibration issues at the rear. They did a lot of work on these at Euro6 and transformed the buses in the process. On the new full electrics I was impressed from the start. Not only are they impressively quiet on the street, something I confirmed while wandering around Gothenburg with my camera to illustrate this article; they are also very quiet to travel on. They also appear to be man enough for the job. Volvo say they will carry a total of 86 passengers, which would be uncomfortably crowded, but with over 50 on board they did not struggle at all as we followed the 55 route, even on the bridge over the Gota. Take off was swift and silent and apart from one start, everything was very smooth. Operating the buses is Keolis Sweden, part of the French based international transport group owned 70% by SNCF. MD, Magnus Akerhielm, was immensely proud to have recently used the new fleet of Volvo electric hybrids running in Stockholm to carry guests at Sweden’s recent Royal Wedding. 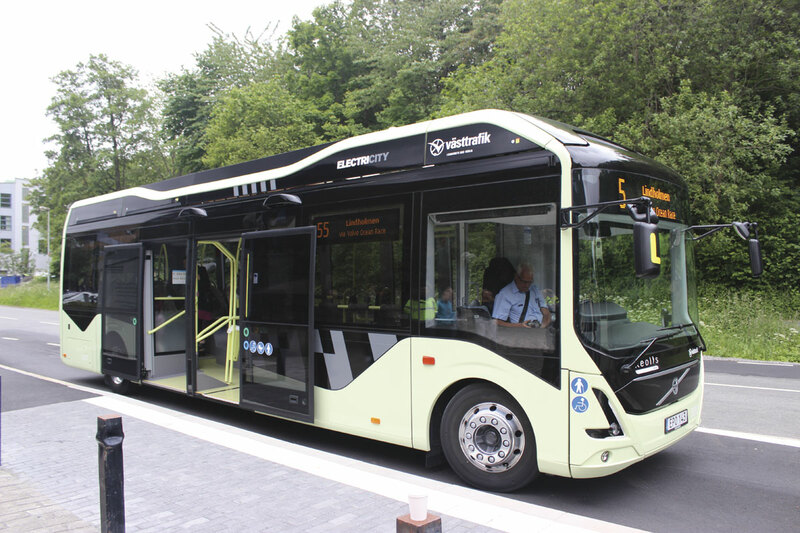 Keolis now had all three types of Volvo electromobility buses in service and was learning from their operation. ‘If you don’t have mistakes you are not pushing the window enough,’ he said. For him it was not just a question of buying a new bus, it was a holistic way forward. The vehicles are not owned by Keolis, Volvo is leasing them on a pence per mile basis as part of its ‘You drive the bus and leave the rest to us’ philosophy. As well as designing and developing the buses required, Volvo has also set up specialist workshops to both provide maintenance and to help it learn more about its own products. It forms part of the Volvo Bus Experience Centre, of which Christer Olsson, introduction manager for Volvo’s aftermarket services for electrified vehicles, said: ‘The Volvo Bus Experience Centre is a hub for everything related to the aftermarket needs of our electrified vehicles. 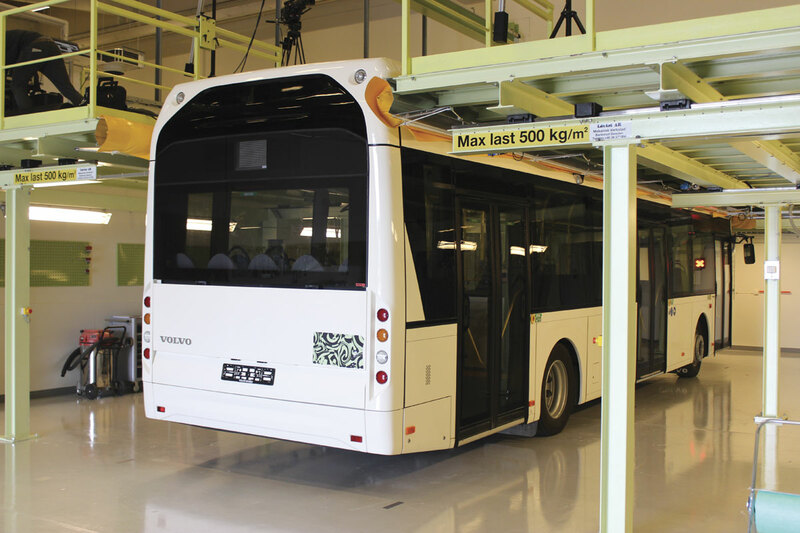 Here we take care of the hybrid buses and electric buses already on the roads of Gothenburg, and it’s also where we test workshop methodology and diagnostics and gain valuable experience for the future. We have here the opportunity to reinforce both our own and our customers’ competence and showcase our solutions for other cities’. 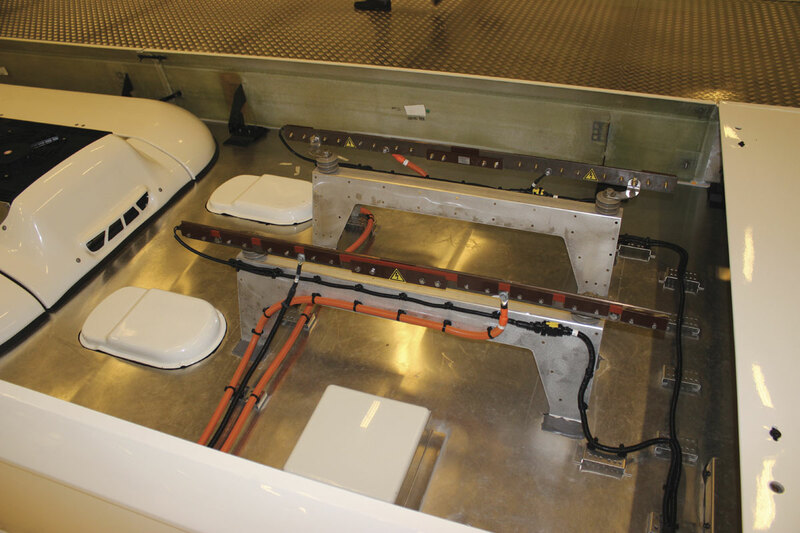 Within the centre there is a showroom for displaying and providing information on what is available and within the complex there are separate workshop areas for maintenance and work on the vehicle’s roof mounted equipment, including a dock with padded edges that enables engineers to easily work at roof height. 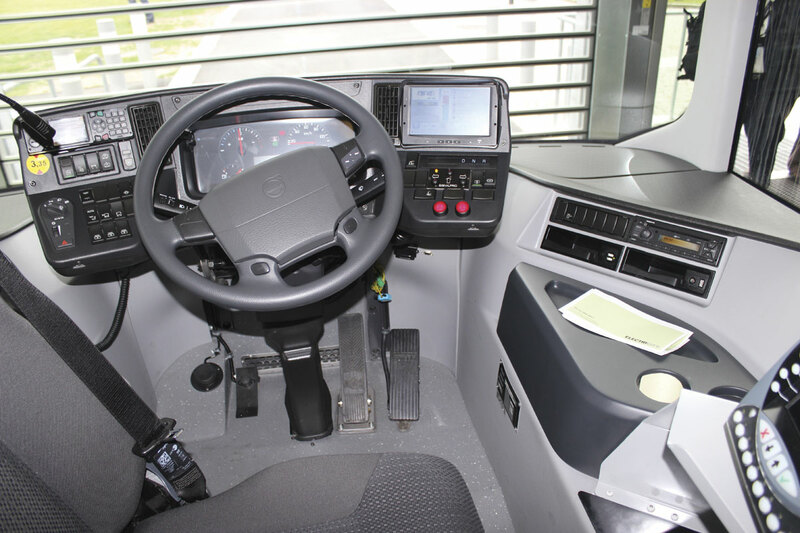 Also of interest at the Centre is a control room where Volvo and Keolis teams work alongside each other monitoring the service and vehicles, with links to other parts of the Volvo empire through which input can be provided. The reduced noise of the buses is seen as one of their most important advantages and this combined with their zero emission capability has enabled some interesting possibilities, not least the bus stop at the Lindholmen terminus where the bus enters the building to collect and drop off passengers, recharging while it does so. Taking this concept to extremes, the temporary stop at the Volvo Ocean Race Village is within a fully functioning library complete with librarian. 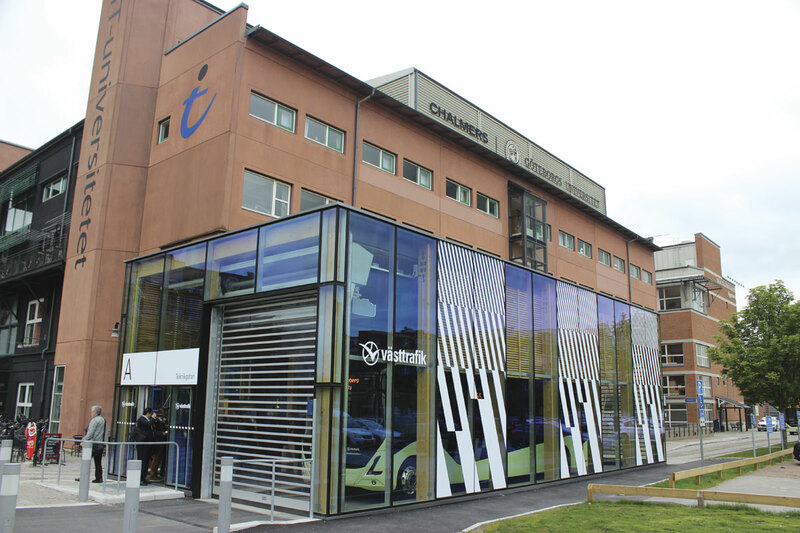 Yet another innovation on the Chalmers site alongside the second charging point is a ‘Silent Bus Stop’ with roof to floor glazing and sound absorbing materials. This has been developed as part of the ‘Controllable Urban Soundscapes’ project. I do have a slight reservation about the opportunity charging aspect, in that it does impose a bottleneck on the system. 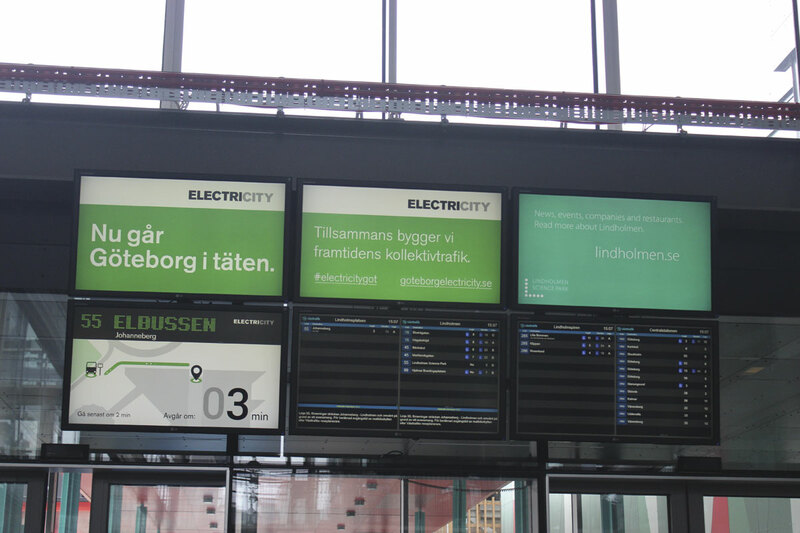 At Lindholmen, when our demonstration service took slightly longer than it would normally have in the recharging area, there were three other buses waiting to use the facility by the time it left. Something similar could easily happen as the result of a traffic incident and with a diesel bus this would not be a problem to overcome. Presumably the third bus in line would not have been able to depart for at least 18 minutes after our bus had, which means that a lot of resource is being wasted. In theory a bus could skip one charge, and I did see this happen at the Chalmers end, though it is difficult at Lindholmen where there is no opportunity to drive round once you have joined the segregated road that leads to the charging point. It may be that one charging point at either end of the line is not sufficient and a third mid way along is also required to optimise operational flexibility. Monitoring of the scheme and its many aspects is to be undertaken and Professor MariAnne Karlsson of Chalmers University of Technology, explained some of the aspects she will be looking into. 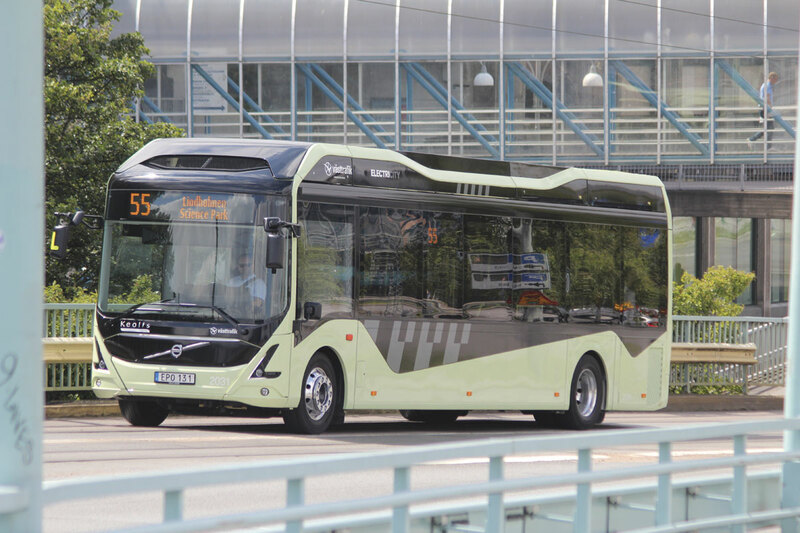 For those of you who like to check back, more details on Volvo’s plug in electric hybrids and the development of the full electric project can be found in Bus & Coach Buyer issues: 1260, 24 January 2014; 1305, 5 December 2014; and 1320, 27 March 2015. Volvo makes no apology for the fact that it believes electromobility is the way forward and has no plan B in the eventuality that operators and more probably politicians, decide on a different course such as diesel or CNG (which it used to offer and no longer does despite MAN winning major orders in Gothenburg as a direct result). Whether it has made the right decision in the long term remains to be seen, because if, as seems likely, there is going to be demand for electric buses, it seems unlikely to me that the demand will be 100% for electric in the medium term, though in some cities it very probably will be. By limiting itself to electric Volvo will miss out in full low floor diesel sales, an area of the market in which it has never been that strong, but it will have a wealth of expertise developed in how to package and operate this undoubtedly important new technology. 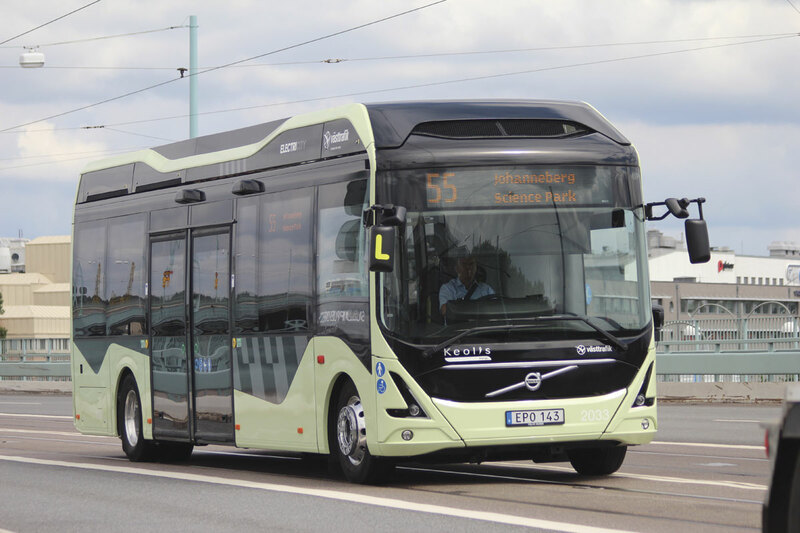 I applaud Volvo for giving me and other members of the press the opportunity to get such an in depth view of the processes it has gone through in bringing its electric buses to the road, and also its openness to new ideas. At times I have struggled to see the relevance of the Volvo companies’ sponsorship of the Volvo Ocean Race, but there is a clear correlation in that both Volvo Buses and the crews of the 65ft yachts are pushing themselves and taking risks in order to be the best they can be in their fields – arguably it is the bus operation’s aims for the future of the planet that are ultimately the more noble and their success the more important.